Law Office of Diana Stavroulakis, Pittsburgh, PA - Diana Stravroulakis » Steven C. Townsend, Esq. Steven C. Townsend, Esq., is a sole-practitioner offering a wide variety of legal services including Personal Injury, White Collar Crime, preparation of important documents (Last Will & Testament, Living Will, Power of Attorney), Probate & Estate, Business Formation, Family Law, and an emphasis in the area of federal and state Criminal Law. When potential clients contact Attorney Stavroulakis with legal matters in one of these areas, she often refers those clients to Attorney Townsend so the potential client can discuss the particulars of the matter directly with Steven and so he can evaluate the case. Attorneys Stavroulakis and Townsend frequently collaborate on criminal cases pending in state and federal court at the trial level, as well as criminal matters on appeal in both the Pennsylvania Superior Court and Supreme Court, and before the United States Court of Appeals for the Third Circuit. 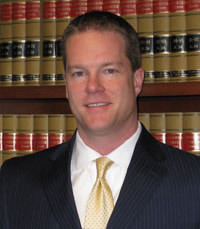 For more information about Steven C. Townsend, Esq., please visit his web site.